James Meyer, Author at JVJ Lawncare & Sprinkler Co. | JVJ Lawncare & Sprinkler Co.
Posted by James Meyer | Comments Off on How Often Do I Fertilize? How Often Do I Fertilize? You should fertilize 3 to 4 times per season for most lawns in Colorado depending on moisture, temperature & type of fertilizer. Nitrogen (N) is the most important nutrient for promoting good turf color and growth. Do not over stimulate the turf with excess N, especially during the spring and summer. Over fertilization can contribute to thatch buildup and increased mowing requirements. Avoid under fertilization of bluegrass and ryegrass. Turf that does not respond to nitrogen fertilizer may be lacking in other nutrients, such as phosphorus or iron. Balanced or complete fertilizers contain various amounts of phosphorus, potassium, iron and sulfur. They are a good safeguard against a potential nutrient deficiency. If you leave clippings on the lawn, these nutrients are recycled from the clippings. 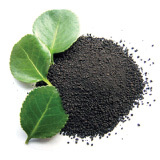 If you remove clippings, this type of fertilizer is appropriate. Helps prevent & reduce thatch and soil compaction. Turf that has less thatch retains more water, oxygen, nutrients & is less prone to disease. Aerating is more beneficial than power raking. It helps improve the root zone by relieving soil compaction while controlling thatch accumulation. Soil compaction, in fact, is one factor that contributes to thatch buildup. Aeration removes plugs of thatch and soil 2 to 3 inches long (the longer, the better) and deposits them on the lawn. Letting the core disintegrate and filter back down into the lawn is the best choice & may take a few days to several weeks depending on moisture and mowing. Prune evergreen shrubs, such as juniper and yew, in late March or early April before new growth begins. Light pruning may also be done in mid-summer. Avoid pruning evergreen shrubs in the fall. 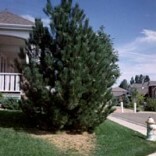 Fall pruned evergreens are more susceptible to winter injury. February through March is generally regarded as the best time to prune most deciduous trees. The absence of foliage at this time of year gives the individual a clear view of the tree and allows the selection and removal of appropriate branches. However, if possible, avoid pruning deciduous trees in spring when the trees are leafing out and in fall when the trees are dropping their leaves. Also, the walling-off or compartmentalization of wounds occurs most rapidly just prior to the onset of growth in spring. Oaks are an exception. The winter months – December, January, and February – are the best time to prune oak trees. To reduce the risk of an oak wilt infection, do not prune oaks from March through October. Oak wilt is a fungal disease that is lethal to many oaks. It can spread from infected trees to healthy trees by sap-feeding beetles (“picnic bugs”). If an oak tree must be pruned in spring or summer (such as after a storm), apply latex housepaint to the pruning cuts to avoid attracting sap-feeding beetles to the wounds. 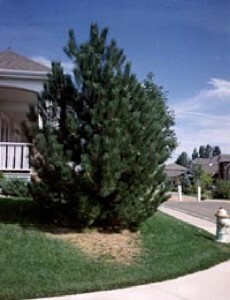 Evergreen trees, such as pine, spruce, and fir, require little pruning. Dead, broken, and diseased branches can be removed at any time of year. 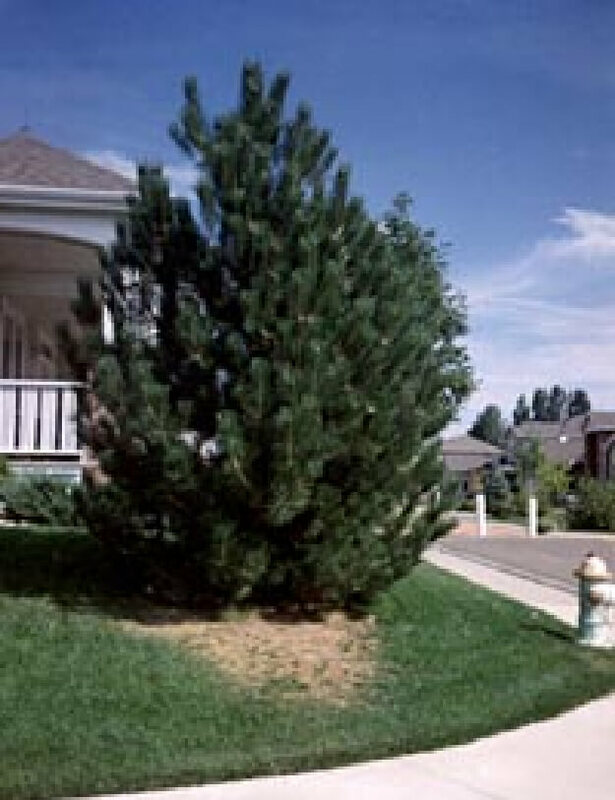 Late winter is the best time to remove unwanted lower branches on evergreen trees. Spruce and fir trees possess side or lateral buds on their newest (outermost) growth. To promote denser growth, cut shoots back to just above a lateral bud or side branch in early spring. Growth on pine trees develops from terminal buds. Pines do not produce side or lateral buds. The growth of pines can be slowed by pinching or pruning off one-half to two-thirds of the elongated terminal buds (“candles”) in spring when the candles are approximately 2 to 3 inches long. Do not prune branches back to older growth down the stem as new growth will not develop from these areas. Late February to early April is the best time to prune fruit trees. Pruning should be completed before the fruit trees begin to break bud (leaf out) in early spring. The proper time to prune deciduous shrubs is determined by the plant’s growth habit, bloom time, and health or condition. Summer-flowering shrubs, such as potentilla and Japanese spirea, bloom in summer on the current year’s growth. Prune summer-flowering shrubs in late winter or early spring. The pruned shrubs will bloom in summer on the current season’s growth. Some deciduous shrubs don’t produce attractive flowers. These shrubs may possess colorful bark, fruit, or foliage. Prune these shrubs in late winter or early spring before growth begins. Do not prune deciduous shrubs in late summer. Pruning shrubs in August or early September may encourage a late flush of growth. This new growth may not harden sufficiently before the arrival of cold weather and be susceptible to winter injury. So the question on everyone’s mind is how much does it cost? Pruning, also known as Trimming, costs can depend on several factors including type of tree, size of tree, amount & size of shrubs, amount of clean up, plus disposal labor & fees . Bigger trees typically take more time to navigate and have larger branches to work on. Other factors can determine the price too such as: are there obstacles (such as fences, roofs, walls, & slope of terrain),to work around in order to keep those obstacles safe from falling limbs and our staff safe as well. The main factors to consider when factoring a cost are the size & amount of trees, shrubs & plants…the accessibility, terrain & size of property… as well as ease or difficulty of clean up & disposal. Small trees start at around $95.00 for pruning, and around $150.00 for removal. Medium trees can vary depending on the above mentioned factors. Very large trees can cost as much as a $1,000.00 to prune and even more for removals depending largely on the size of the stump. Our smallest pruning or clean up package starts at $180 and can be as much as several thousand dollars. However, on average the majority of properties we have worked on over the last 20 years came in at around $350 to $950. Posted by James Meyer | Comments Off on Brown patches in Turf!…Spider Mites! Brown patches in Turf!…Spider Mites! We are finding that a lot of people think their brown areas or dead patches are from winter kill due to low moisture…We are finding the dead areas are mostly due to Spider Mites! Many feel spider mites are the most destructive pests for turf in Colorado. 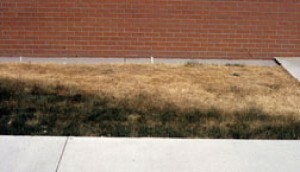 Several species of spider mites can damage turf grass in Colorado: clover mite, Banks grass mite and brown wheat mite. Most damage occurs during early to mid-spring. When most people see the damage begin, they often believe they are having watering problems with their sprinkler system. 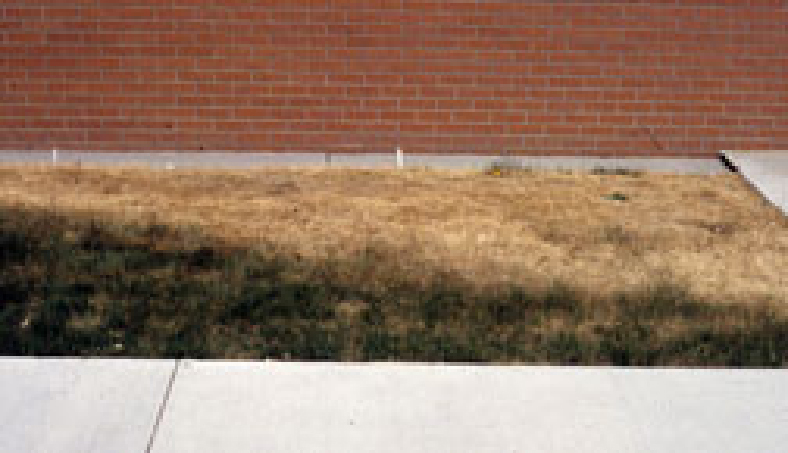 The damage appears as dry areas or brown spots in turf, predominately on the south & west sides of foundations, walls, patios, rock beds, trees, etc. If you look closer at the damaged grass it appears gray in color. If you look at the dead blades of the grass, you can see tiny black spots on the grass…that is where the mites have leached onto the grass and sucked the life out of it. 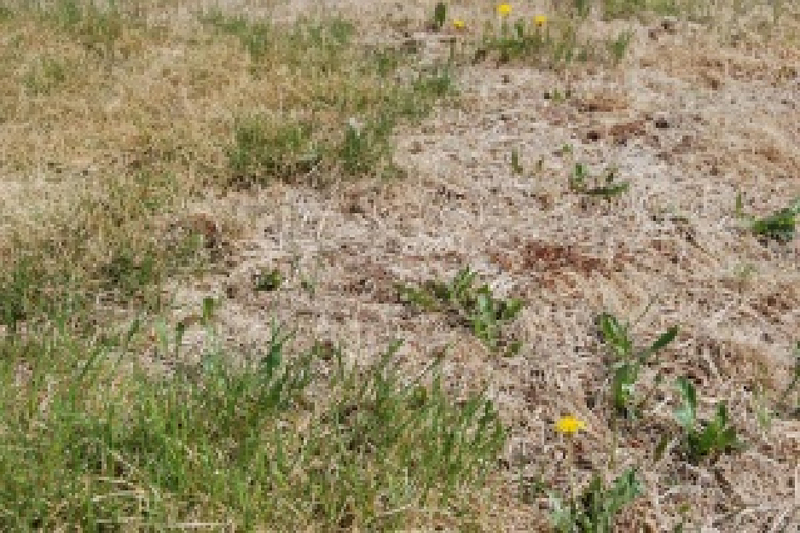 Damage can range from a few dry areas to total destruction of the lawn. Many people who have problems with turf growing… do not know they have spider mites on their property & will continue to over water to try to get these problem areas to grow. Most blame it on soil conditions, hot sides of the house, winter kill, acid from needles of pine trees, etc. Some who have severe damage or hard to grow areas will replace their sod when a simple plan of mite control along with some TLC will revive a majority of their turf. Most turf usually requires two mite control applications. Call us for a free Quote! 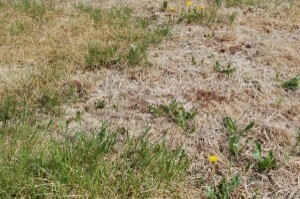 Applications usually start around $75 and go higher for more severely damaged lawns. Unlike some companies we treat beyond the damaged areas. We treat where the mites have moved onto such as the good turf & also the bed and border areas. Severe mite & drought damage. Mites can leave severe damage over time if left untreated. Minor mite damage on hot side of tree.